Are you searching for a new or used Heavy- Duty 2500 Ram Truck for your truck in northeastern Oklahoma? Vance Chrysler Dodge Jeep Ram in Miami, OK is dedicated to helping Oklahomans find a truck that will work and play as hard as they do. Vance is northeastern Oklahoma’s premier dealership. People drive from Missouri and Kansas to get a truck that will fit their unique needs. 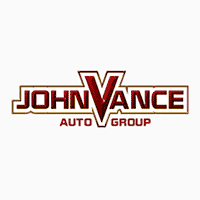 Vance Auto Group has been committed to serving our neighbors for over thirty years. We own nine full service Oklahoma dealerships, each with a selection of vehicles to choose from. Our staff is ready to get you into the perfect truck for your personal and commercial use. The Ram 2500 is among the Ram lineup of trucks that stay on the road longer than any other brand. The Texas Auto Writers’ Association was so impressed with it, they named it the Best Heavy-Duty Truck of Texas. It is built to work hard, last long and look good. There are seven models of Ram 2500 to choose from: Tradesman, SLT, Big Horn, Laramie, Laramie Big Horn, Power Wagon, or Limited. They come with your choice of gas or diesel engine: the proven and legendary 6.7L Cummins® Turbo Diesel Engine and the Heavy-Duty 6.4L HEMI® V8 Engine. This powerful truck is Best-in-Class for Gas Horsepower with 410 HP, Best-In-Class Max Gas Towing of 16,320 Pounds, and a Max Gas Payload of 3,990 Pounds. It has available Class-Exclusive Rear Auto-Level Air Suspension and Class-Exclusive Five-Link Coil Rear Coil Suspension. Discover more about this amazing truck when you come check out all the available features designed to assist you inside and out such as: the Max Tow Package includes the Fifth-Wheel/Gooseneck Prep Package, the Class-Exclusive RamBox® Cargo Management System, the Cargo-View Camera, the Wheel-to-Wheel Side Steps, the ParkView® Rear Back Up Camera System, the LED Bed Lighting, and the ParkSense® Front/Rear Park Assist Sensors. See how much this incredible Ram 2500 can make your life so much easier. Come see us at Vance Chrysler Dodge Jeep Ram in Miami, Oklahoma. We will work hard to get you into the truck that will haul and tow whatever you need it to.